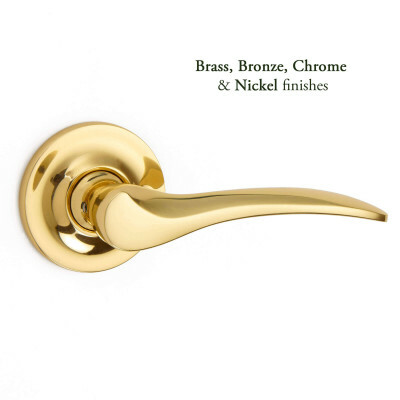 Truly beautiful Aged Bronze Reeded Lever handles on a rose. A really beautiful Aged Bronze Reeded Lever on a rose. 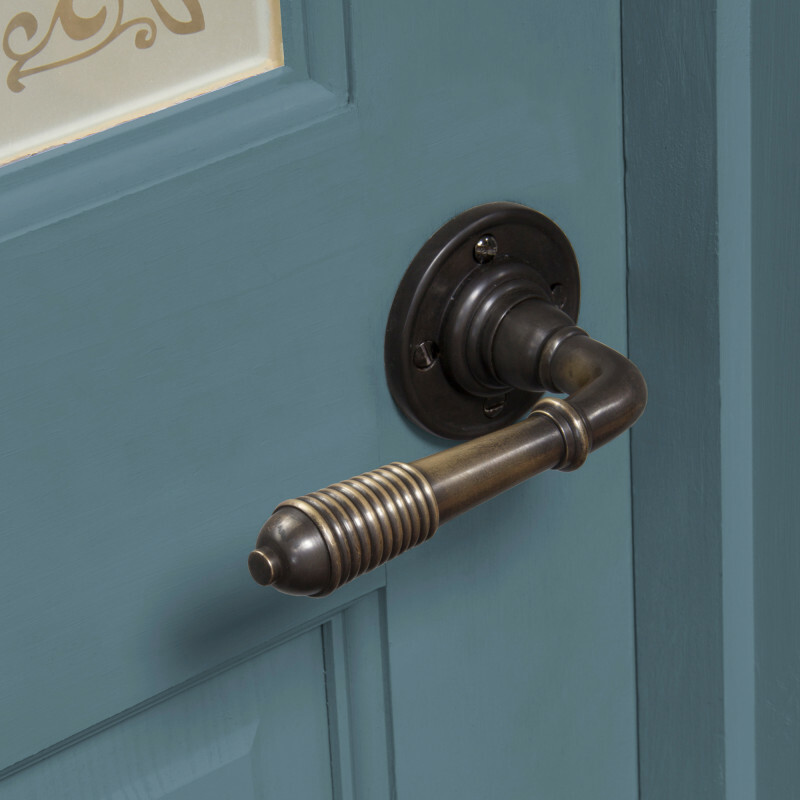 This attractive Regency style is made from solid bronze and has double ogee ring and stylish reeded end. There is heavy ovolo moulding at its base and the rose is fitted with a string spring. There are also Casement Window Fittings in this range. 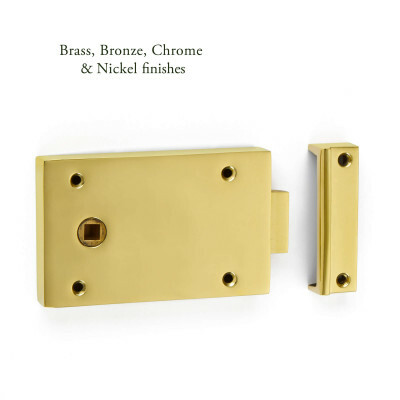 Suitable for use with mortice locks and latches only. 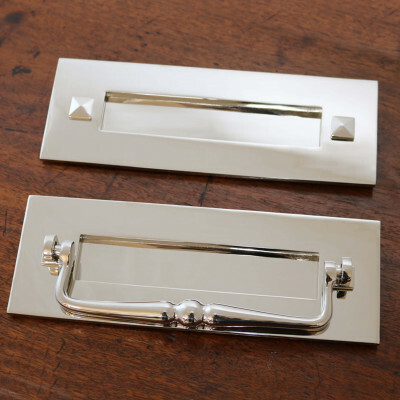 As these handles are sprung they can be used with both standard and heavy sprung locks and latches. 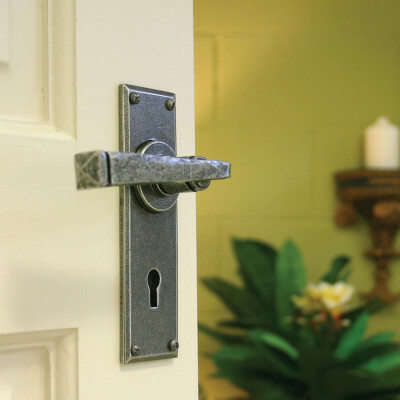 We would usually recommend a lock or latchsize up to 80mm, otherwise the handle is positioned too far away from the edge of the door.